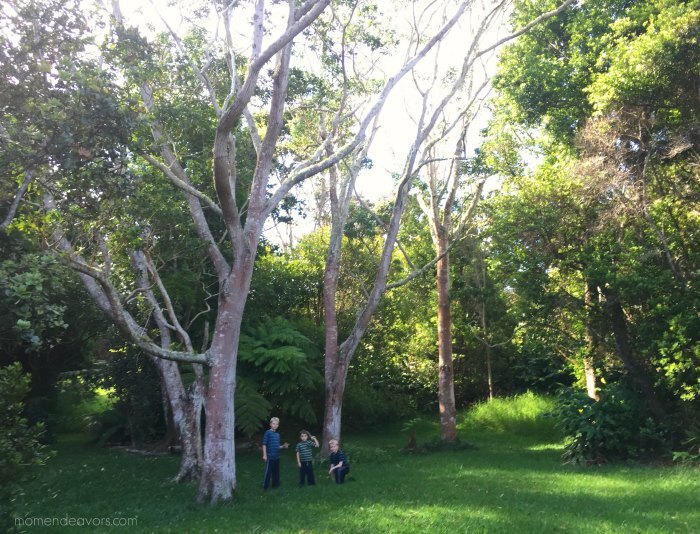 Planning a multigenerational family vacation? We recommend it! And, we highly recommend booking a vacation rental for your family trip! So, we’re sharing some tips to help you know what to look for in a vacation rental thanks to a sponsored partnership with HomeAway. 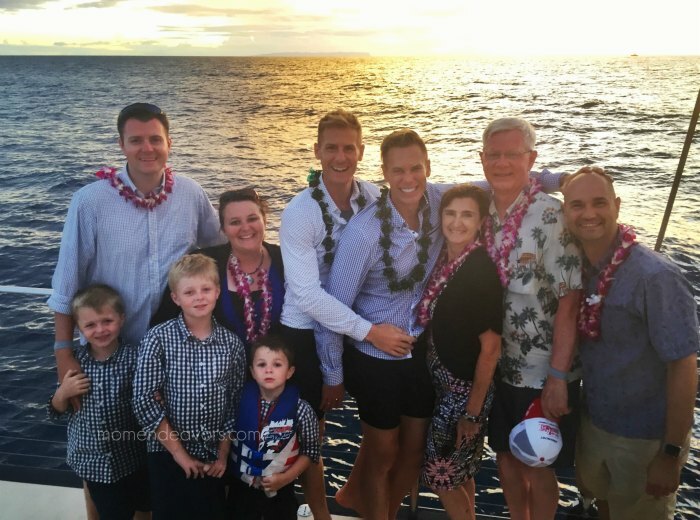 Multigenerational travel is a fast-growing travel trend and it’s something that our family is doing at least once a year lately. We’ve actually done multiple multigenerational trips with both sides of our family now. The trips have included destinations like San Diego, Disneyland, Northern Arizona, and most recently, Hawaii. In addition to grandparents and grandchildren, these trips have sometimes included adult siblings as well. So, we’re definitely not strangers to traveling in groups with a wide span of ages and interests! 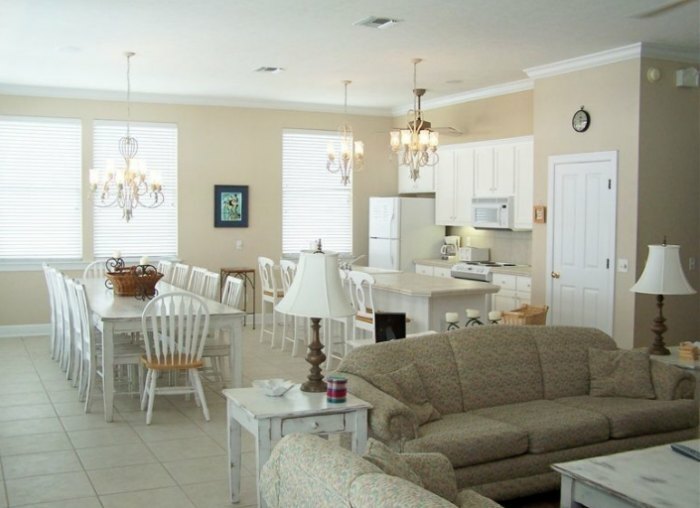 To maximize our budget and our time together on these trips, we opt for staying in vacation rentals through HomeAway! 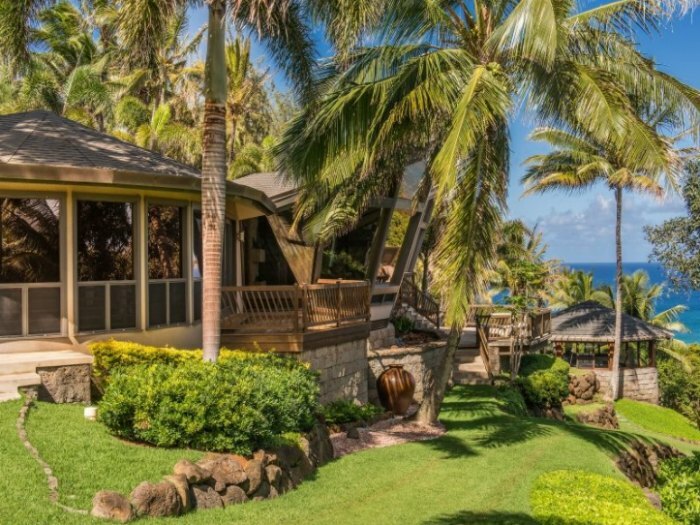 HomeAway is the world leader in vacation rentals representing more than 2 million unique places to stay in 190 countries, listed on HomeAway.com,VRBO.com, and VacationRentals.com. For those not already familiar, these sites allow you to book vacation rentals listed on the sites by rental owners/property managers. Staying in rental properties helps give you a more “home away from home” feel, gives everyone an easy way to maximize time together, and helps save money by being able to prepare meals instead of eating out all the time. Our family has used VRBO to book a number of different properties over the years. With easily customizable search functions and filters, HomeAway makes it easy to sort through all the properties. The trick is just finding the perfect one for your particular needs! 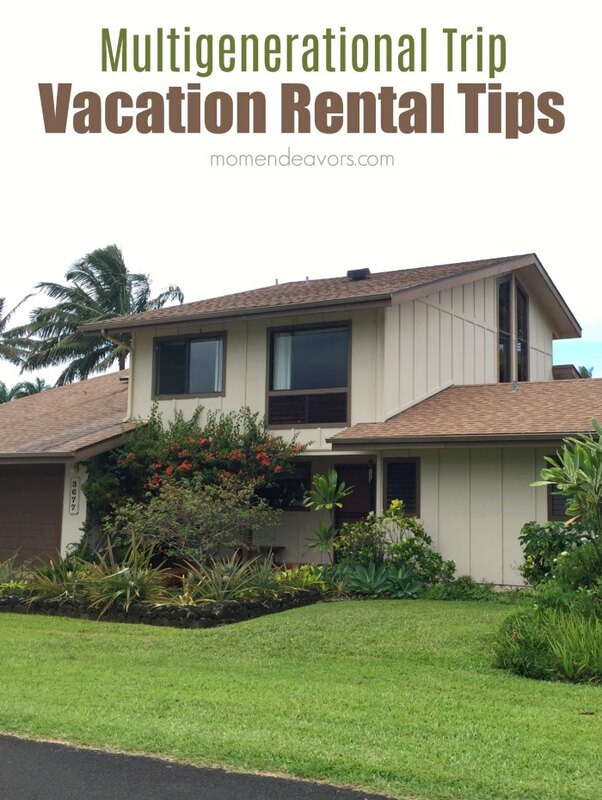 So, I’m sharing a list that can help you figure out what to look for in a family vacation rental. You’ll likely already know your destination before beginning your HomeAway search, but you’ll also need to decide on what area you’d like to stay in at your destination. Research your options. Do you need something right on the beach or are you willing to stay a few blocks (or miles away)? How close is the area to the activities you’re interested in? Do you want a single family home in a neighborhood or something in a condo complex? You can then use these decisions to help narrow your search. For example, we were willing to give up staying on the beach to save some money in Hawaii. 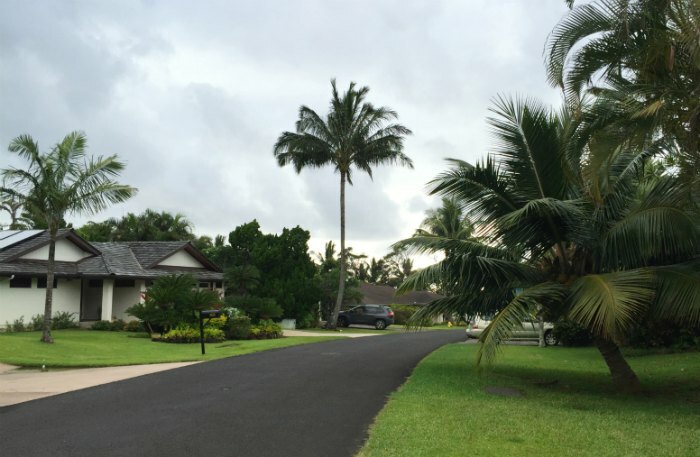 It was just a short drive to the beach and we loved the quiet, beautiful neighborhood in Princeville, Kauai! When you’re traveling with a (potentially large) multigenerational group, we highly recommend getting as much square footage as possible within your budget! You’ll want enough space to eat meals and enjoy time together, but also some room to spread out and breathe. Look for as many rooms as possible for privacy – bonus if there is a separate entrance or guest house/”mother-in-law” quarters on the property! 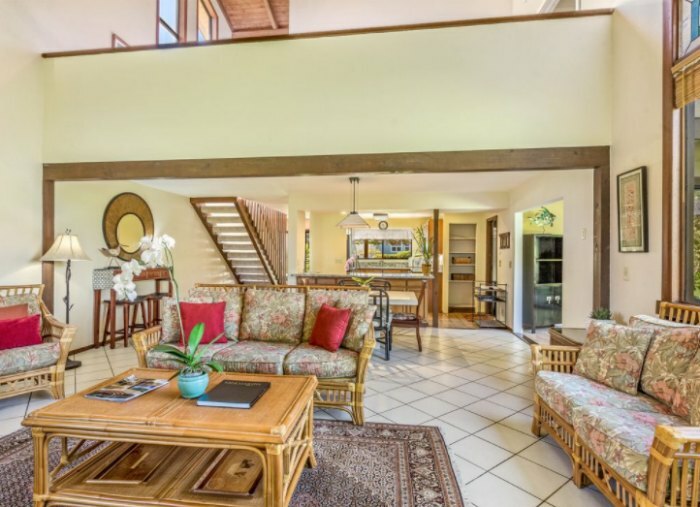 One of the houses we recently booked in Hawaii had over 2,000 square feet of living space, which great for our family group! As you can see from the photo below, we had two levels with spacious open areas at a great price! While you’re trying to maximize space, be sure to also consider the layout/floor plan for the members of your group. Do you want everyone to have their own room or will people be sharing rooms? Is there a split floor plan? Is there enough open space and enough privacy? Is there an outdoor living space you can utilize? Is there enough seating for everyone in the dining/living areas? Is the house single story, two-story, or more? For instance, a house with lots of stairs probably isn’t the best choice if you’re traveling with elderly grandparents or very small kids. So, be sure to consider the layout with the needs and ages of those in your group. For a multigenerational group, more than 1 bathroom is a MUST! We don’t even consider properties with less than 2 bathrooms. You can include the number of bathrooms desired as part of the search function. So, I recommend putting 2 as the minimum! If you’re only staying a couple nights, laundry might not be a necessity. But for longer stays, I really recommend staying at a property with a washer and dryer. Plus when you’re staying with kids, the need for a washing machine can sometimes strike quickly and suddenly – a potty accident, sudden sickness, playing in the mud, etc! Another consideration, when you’re traveling with young kids especially, is any safety concerns. No one wants to have extra worries while on vacation. So, consider the ages and special needs of those in your group while you look at properties. Does the property feature an un-fenced spa or pool? Is there an open staircase or loft space? Are all the tables glass? Does the property open to a busy road? A house that works well for one family might not be the safest option for yours! – Beach gear (coolers, chairs, boogie boards, surf boards, beach towels), bikes, fishing poles, games, movies, blender, spices/condiments provided, grill, backyard space, pool/spa, blow dryer, baby/kids’ items (pack ‘n play, crib, high chair, baby gate, toys, etc). If you’re on a multigenerational vacation, it’s very likely that you’ll have more than one rental vehicle with you. So, you’ll want to make sure that the property you choose has enough parking for your particular group. 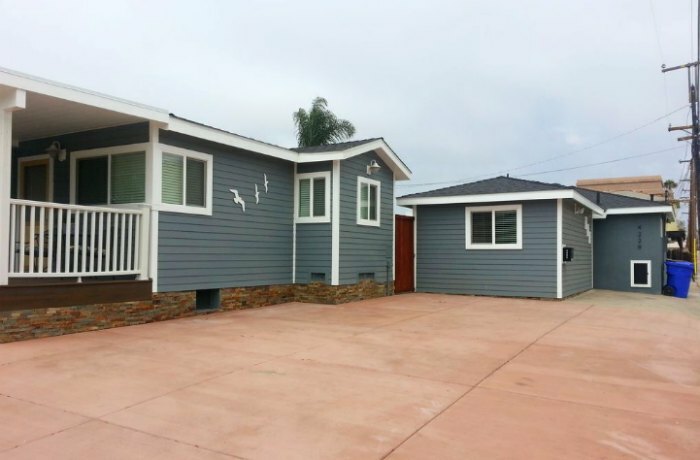 We’ve looked at many beach houses in the San Diego area where only space for ONE car is included! So, parking actually helped us make our decision when we found this San Diego gem that actually has room for SIX cars! In addition to reading the reviews, we always make sure to “feel out” the owners/property managers first before we settle on any property. We inquire about booking and figure out a couple of questions to ask about the property (maybe confirming certain extras, something about the space, etc). Their response (or lack there of) can be a determining factor. Do they respond quickly? Do you have a good feeling about your interaction with them? Do they seem friendly, helpful, and easy to work with in their response? There have been many properties over the years that looked perfect on paper, but the owners failed to respond in a timely manner and we went with something else. So, a great property owner/manager can make all the difference in a good experience! Have YOU stayed in a HomeAway vacation rental? What tips do YOU have for finding the perfect place? Be sure to add your thoughts to the comments below!